These lightweight, robust forestry trailers and are perfect matched up behind a powerful ATV, alpine or compact tractor. Country Trailers are manufactured in Estonia. These lightweight, robust forestry trailers and are perfect matched up behind a powerful ATV, alpine or compact tractor. These forestry trailers turn your ATV or tractor into a mini forwarding unit allowing you to move large amounts of timber with the minimum amount of ground disturbance. The trailer incorporates a walking beam axle which distributes the load effectively and allows the trailer to move over rough terrain even when fully laden. 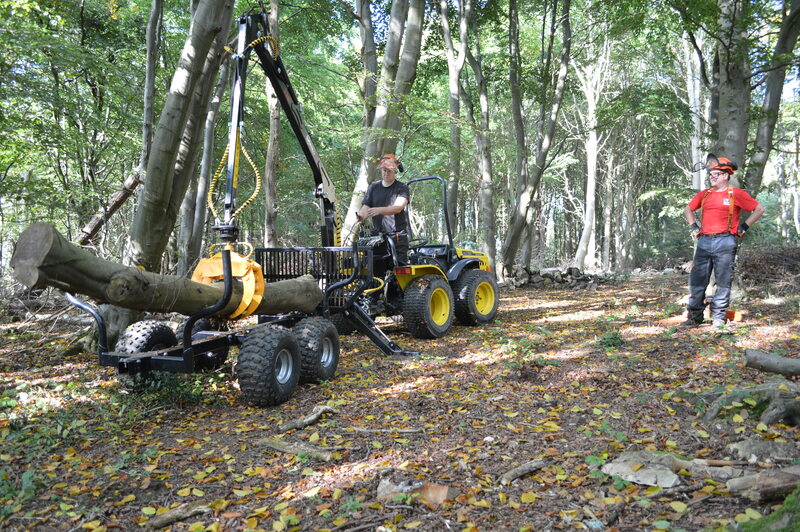 The powerful hydraulic crane on these forestry trailers can be connected to the tractor hydraulics or run from separate power pack if no hydraulics are available. 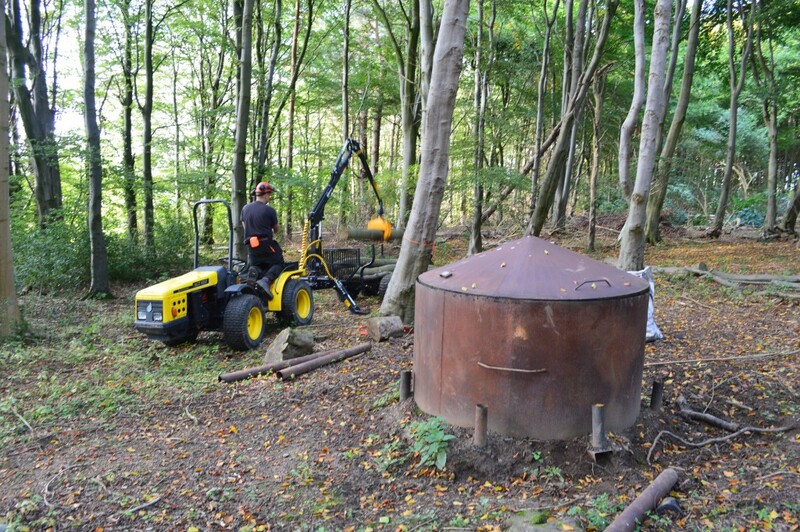 The crane is controlled from an easy to operate hydraulic block and has stabilisers which fold down giving a solid platform when lifting logs. 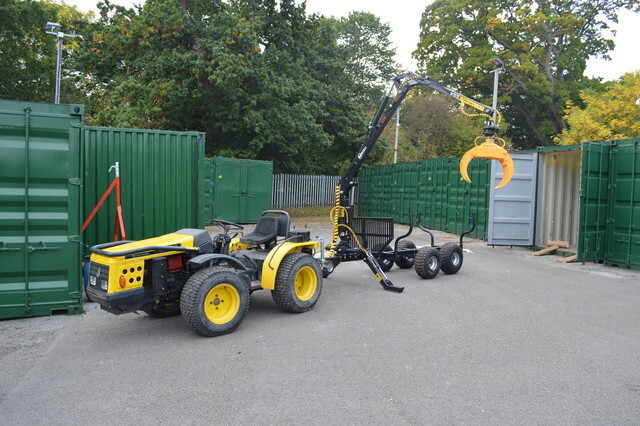 A range of trailers are available from 1500kg to 5000kg maximum load and cranes from 3.3m reach to 4.7m reach. 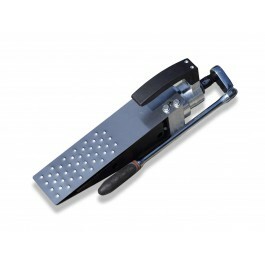 Other options include: Hydraulic drive, brakes, remote control winch.